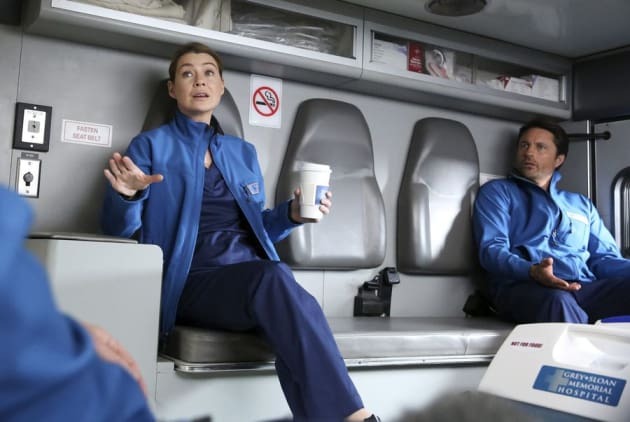 Meredith heads out on an ambulance ride to transport a heart for transplant on Grey's Anatomy. "I Wear the Face" is the 17th episode of the show's 12th season. 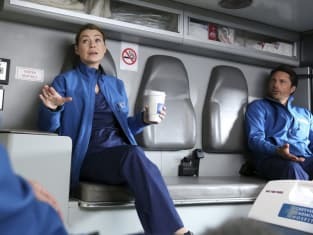 Grey's Anatomy Season 12 Episode 17: "I Wear the Face"
Jo: Do you think that I'm "resourceful" or "inventive?" Penny: Mm, put that you're both. Stephanie: Put that you're annoying when you think out loud. Permalink: Put that you're annoying when you think out loud. Why are these spaces so small? These spaces cannot contain how awesome I am. Permalink: Why are these spaces so small? These spaces cannot contain how awesome I am.